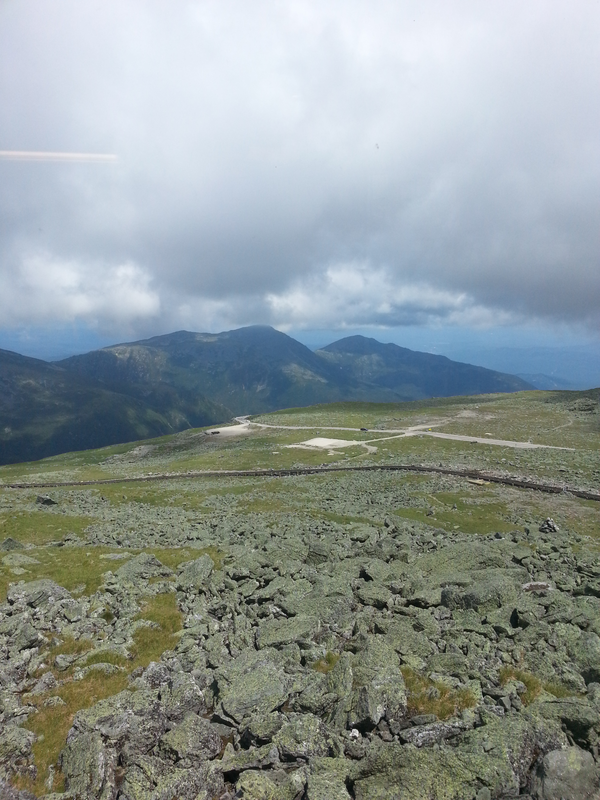 It’s more than just the “This Car Climbed Mount Washington” bumper sticker. It’s about a new experience at every turn, the most spectacular eight miles of driving in New Hampshire. Really, it is in retrospect! Happy Birthday to a father, absent through divorce from their teenage years, but back with a song in his heavenly heart for them now. They’re sure Dad’s laughing along with them; he always liked a good laugh. The adventurous traveler Marlene wants to drive up Mt. Washington and not take the safer guided tour van or the Cog Railway! They remember years ago as Ranger Girl Scouts their harrowing experience hiking up to the Lakes of the Clouds Hut, a stopover to Mt. Washington. So, just in case, they stock the car with emergency things; umbrellas, warm clothes, protein bars and bottles of water. They line up at the base of the auto road for a ticket, a bumper sticker and a guided tour CD. The line’s short; the weather’s good, clear skies and temperatures in the 50s. But, they know everything could change in a minute on the way up! With angel Dad along for a safe ride, they put the car in first gear and start off. Neither one of them looks down over the steep, no guard rails side on the journey to the top, or back down (Marlene grips the steering wheel more going up than going down). Eyes are straight ahead or searching for road dangers. Comments are at the mile marks, four miles halfway there, another four to go. One mile now, not much vegetation up here and the dirt road seems wider, and look there’s the observatory, the Cog Railway, and all those stairs to climb up from the parking lot. But all is worth it for the spectacular view! 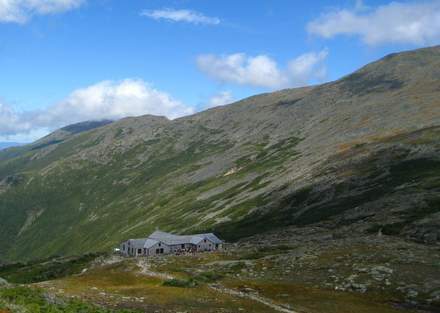 The Lakes of the Clouds Hut is the highest, largest, and most popular hut in the system. It’s located at about 5,000 ft. elevation on the southwest side of Mt. Washington (6,288 ft.) Situated on the shoulder of Mt. Washington, the hut has magnificent views of the entire Zealand Valley and of course Mt. Washington. It also is known for ferociously bad weather. 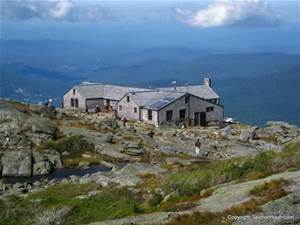 Before being renovated for use as a guest hut, it was originally built as an emergency shelter in 1901, in response to the deaths in the previous year of two hikers caught in a storm on their way to an AMC meeting atop Mount Washington. It was the summer of 1953. Ranger Girl Scouts Marlene and Christine, with five other ranger girls, and two adult leaders, competent Dodie, and kind Louise, set out for a day of hiking. The ranger part of Girl Scouts means they could survive in the woods or any emergency situation that involved cooking food over a campfire, building shelter, weathering storms, and sleeping under the stars. Competent Dodie got the girls to the hut alright, and they got to stay overnight. They were wrapped in blankets while their clothes dried over the backs of chairs in front of the open fireplace, and fed hot soup and sandwiches before bedding down for the night. No one complained and there were giggles and talk about how great they all were to survive such a treacherous climb! And they wondered what kind of a scout badge they could get for that! Next day was sunny and bright. Everyone was in a good mood and looking forward to continuing the hike. After a hearty breakfast and shopping in the souvenir store, it was decided by all that they make their way back down the mountain. It seemed the best thing to do not to continue up to the summit after the bad weather experience. Mt. Washington would stay majestically in the distance for this trip anyway. The climb down was steep and slow. But the weather held with clear skies. Marlene was in the lead in front of Christine. They didn’t usually hang together hiking or doing scout work. Each one had their own same age friends in the troop. Marlene was a big freshman in high school and Christine was only an eighth grader. But, this time they had to stay together and work in tandem, carrying a treasured gift for their mother, a green speckled ceramic bowl that would be perfect in the center of her antique marble top coffee table. As Christine held the gift carefully wrapped in a paper bag, Marlene traversed a rocky decline and the hand-off was done. At every step down they did the hand-off routine. Comments along the way were pretty standard for transporting something precious and breakable. Back and forth it was, “Be careful, here take it, don’t drop it, watch out there’s another big step down, we’re almost there.” Pretty incredible, not only did the prized gift make it to the coffee table, but the sisters proudly told the story of how the two of them perfected the hand-off down a treacherous rocky trail. Something worthy of praise, and is there a scout badge for that! To this day it’s not certain what the best story is. Is it the harrowing hike up the mountain over treacherous rocks, in blinding rain and dense fog, while tied to a long rope? Or is it the tedious hike down on a clear, sunny day, over the same rocky terrain, perfecting the safe hand-off of a ceramic bowl, that precious gift for their mother? 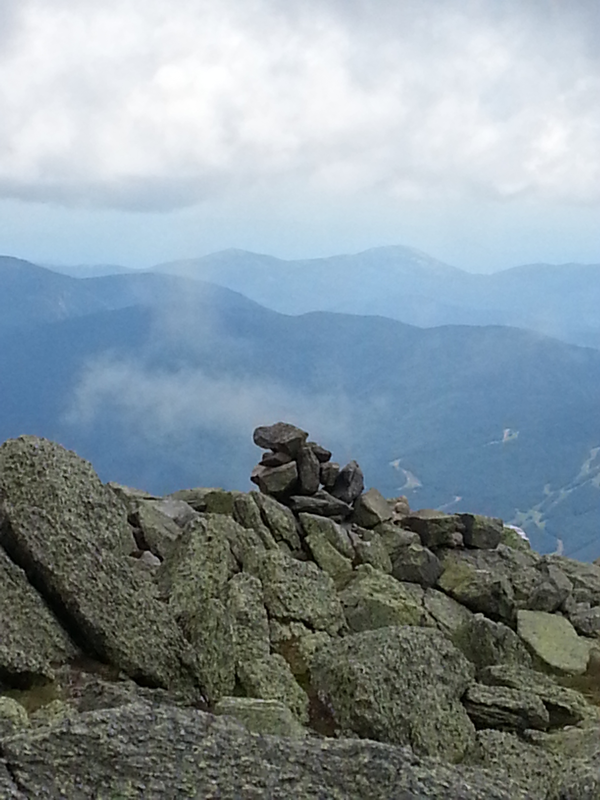 This entry was posted in My Entries and tagged 1953, back to roots, harrowing hike, Mt. Washington, perfecting a hand-off, precious gift, Ranger Girl Scouts, sisters together, sisters vacation, spectacular views, the drive up & down. Bookmark the permalink. Up always gets all the credit, but down is tough too! 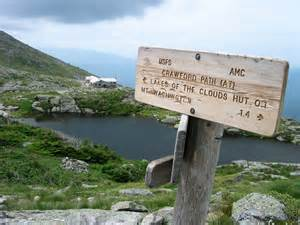 Especially when you consider you have to go up first… I need to get back into the Presidentials, it’s been too long. 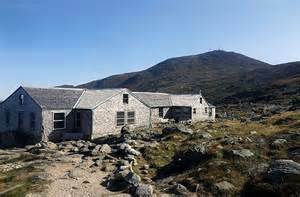 There is a rather convenient parking lot in Franconia Notch, with a nice day hike to the top of Mt Lincoln. If the weather holds! Thanks Greg for your comment! 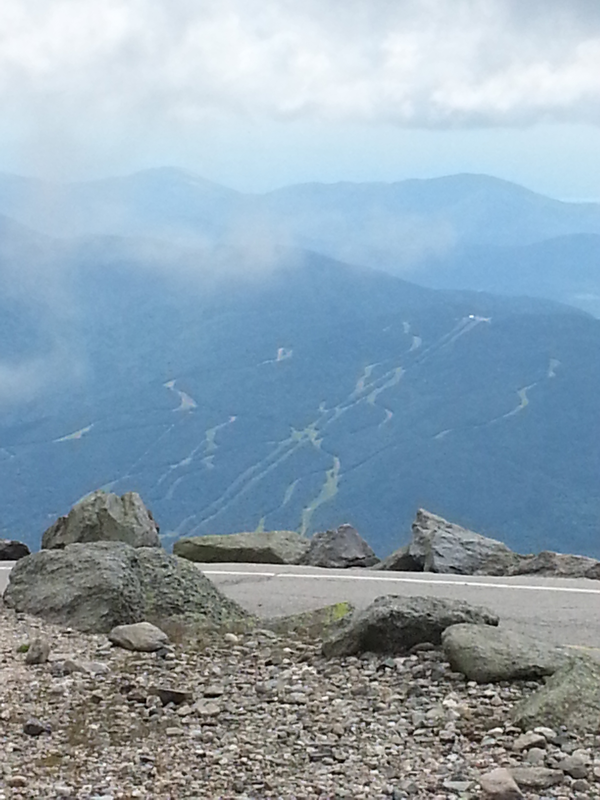 Next time we’ll tour around Franconia Notch, time was short on this past trip. We were so lucky to have good weather at the top of Mt. Washington. The whole area was so peaceful and people friendly. A good childhood growing up in New England.